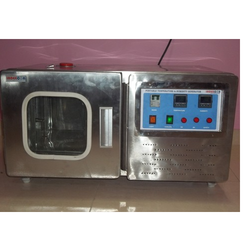 We are a leading Manufacturer of humidity generators from Thane, India. Supported by our experienced professionals, we are instrumental in manufacturing and supplying Humidity Generators. These generators are used to produce humid atmosphere, generates RH (relative humidity) and temperature with an accuracy of ± 0.5 percent and calibrates a wide variety of temperature/humidity measurement instruments. All these generators are manufactured in compliance with industry laid guidelines and using optimum quality material sourced from the authentic vendors of the market.